This campaign revealing the dark side of football fever went viral during the World Cup. 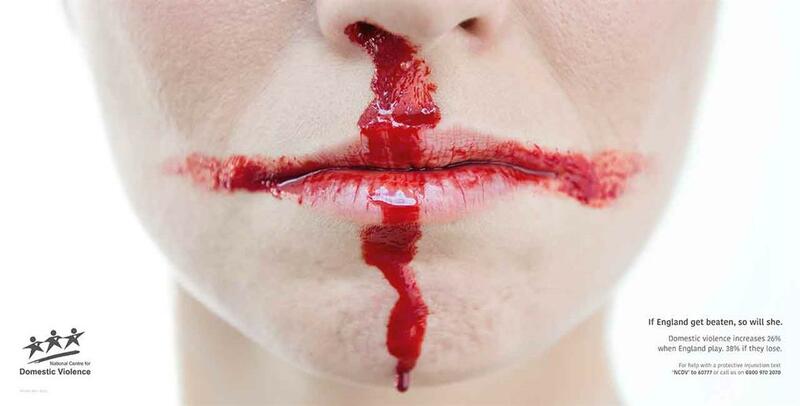 Reported incidents of domestic violence rise by 26% if England plays and 38% if England loses. Powerful ads reimagine national flags in blood to bring to life these statistics in a dramatic way. They ran on all of England, Switzerland and Japan’s match days until the end of the tournament.